Hannah Golden is a Personal Lines Producer at Sleeper Sewell Insurance. She has been with the agency since 2016. Hannah has success with assisting customers with their personal insurance needs. She specializes in insuring high-net worth individuals, managing risk across their insurance portfolios to ensure their assets are properly protected. Hannah grew up and attended high school in Sugar Land, TX. After high school, she attended Texas Tech University where she graduated in 2012 with a Bachelors in Business Administration. 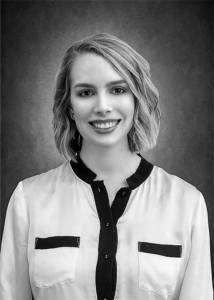 Outside of the bank, Hannah is a member in the Richardson Chamber of Commerce, MetroTex Realtor Association and volunteers at Gateway Church Dallas. She is also a member of BNI International and the Texas Tech Alumni Association of Dallas.